Channelling her grievance and mourning into something sustainable and meaningful, Taylyn Mark turned to making quality handmade products after her mother’s passing. We catch up with Taylyn on the simplicity of toys and how they stimulate creative play. During open-ended play time where kids engage in creative play, they are not only stimulating their imagination but also developing their social and emotional development. As such, Taylyn believes that toys must have a simple concept yet be versatile enough to meet the child’s intellectual needs. 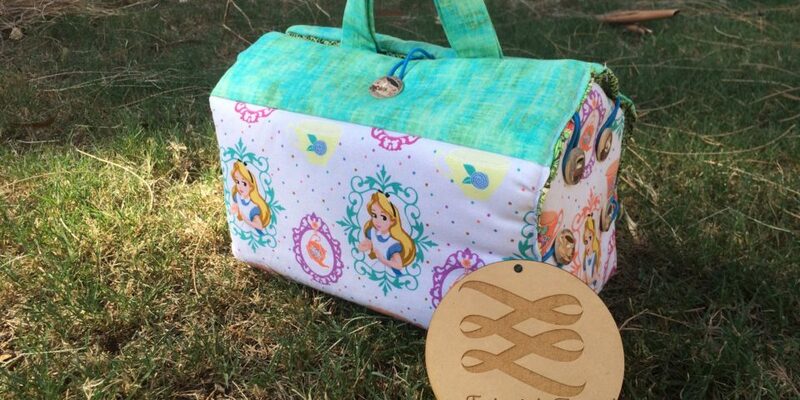 Taylyn initially started her business with hairbows designed and made her own way but she recently added a new product of fabric playhouses to her list of products as a tribute to her mother. Staying true to her brand ethos to inspire a child’s creativity and imagination, Taylyn says that her fabric playhouses have a been a big hit and she hopes they would sell well Australia wide. Regardless of her own struggles and the loss of her mum, Taylyn has a positive outlook on life at least for the sake of her family, especially her two daughters.